If one goes by the social and economic trends after the completion of first year in office of BJP government led by PM Narendra Modi at the Centre, there is a sense of fulfilment that there is a marked change in the lifestyle of people for the better. India's voice is being heard at the right quarters of global power corridors. Modi's suggestion of an International Yoga Day is being celebrated all over the world on June 21 with nearly 50,000 people in the New York alone gathering to do simple exercises. And yes, there are some concerns over India's external security as our relations with Pakistan and China are problematic, internal issues like threat to social fabric due to communal overtones, linguistic and ethnic rivalries and social inequities - all of which are being addressed by the NDA regime through broad consensus and after many deliberations. Now look at the economic story: India will be the fastest growing economy at 7.5% in 2015-16, thus piping China which has to contend with slower GDP rate after clocking at a breakneck speed in the last two decades. The country's total GDP at $7.996 trillion (purchasing power parity) is the third largest after the United States and China. According to World Bank and IMF reports, the government has begun to implement a whole range of reforms to tap the country's investment potential and improve the conditions for doing business. Many giant steps like liberalising FDI norms in critical verticals like aviation, retail, insurance and pension, banking, healthcare and hospitality are beginning to show positive trends. The government is keen to boost public and private investments in infrastructure, settle the lingering corporate disputes, further simplify taxation and lessen the tax burden on business houses to expand their operations. In fact, India is on the upward curve as it reaps rich dividends of its demographic mix with over 70-75% of the population below the age of 35 and technical colleges across the country turning out millions of skilled youth waiting to take India forward in cutting edge technologies and sunrise industries like biotech, space and nanotech. It is ironical that even as 75% of 1.3 billion people reside in rural and semi-urban regions, the fruits of rapid growth are enjoyed by the minuscule living in the posh urban clusters. The experts have urged the government to make agriculture a productive vocation again so that farmers who are turning away from this age-old practice see profit and reason in continuing with this art of tilling the soil that has stood the test of time, except for the last few decades. It is only natural that in a competitive environment, farming has not given much wealth in the hands of tillers as compared to those employed in industry and service sectors. Hence, the need for the government's active intervention to rescue agriculture from its existential woes by giving incentives and subsidies to farmers, besides offering a ready market for them to sell their produce at reasonable prices. However, much has to be done for rural India to experience the joy of digital revolution in cities. A fibre optic connectivity till the last mile, assured electricity and better connectivity in terms of good roads, railways are some of the infrastructure gaps that need to be addressed. The quality of life is mostly determined by two main indices - health and education. While India's literacy rate stands at 74% as per 2011 census, the healthcare industry size is expected to touch $160 billion by 2017 and 280 billion by 2020. A lot needs to be done to set up government hospitals, clinics and public health centres in rural areas which are untouched by the corporates who run glitzy, 5-star multispecialty chains in the metros and cities. Unless the government takes the initiative to set up an eco-system for private hospitals to thrive in rural India, healthcare delivery at the optimum level may not be ensured to the rural folks. 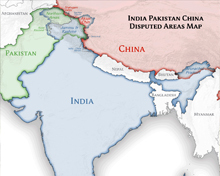 It is no denying the fact Pakistan and China, two nuclear-armed rivals, will continue to pose external threats to India, besides fomenting divisive forces that wage a long-drawn out insurgency in Kashmir and Northeast. While the security apparatus consisting of the National Security Advisor, RAW and Intelligence Bureau, besides the Cabinet Committee on Security, is grappling with the inter-linked issues like terrorism, military threats and internal war mongering by disparate groups like Maoists and fringe elements, speeder growth through fast tracking the processes for setting up new ventures for job opportunities will wean away youths from the clutches of these inimical forces. Unless there is social cohesion and the citizens pool in their efforts to improve the gross national income of the country, outside forces are bound to exploit any slightest chance for secessionism and terror strikes. Only through consisted efforts and playing by the rules of the global geopolitics, can India get its demands fulfilled at the diplomatic high table. 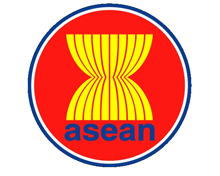 A member of G-20, G-77 groupings, founding member of BRICS, dialogue partner at ASEAN Regional Forum (ARF) and observer at Shanghai Cooperation Organisation (SCO), India has been trying to strike a strategic rapport with the United States to achieve two major objectives. For some time, India is lobbying hard for a permanent seat in the UN Security Council and inclusion in the Nuclear Suppliers Group, a 48-member block that monitors the trade in dual use nuclear materials. But to become a member of NSG, India has been urged in the past to sign the NPT (nuclear non-proliferation treaty), CTBT (comprehensive test ban treaty) and FMCT (fissile material cut-off treaty) - all of which we have resisted given our hostile neighbourhood and the need to ramp up our nuclear capability to ward off future conflicts. 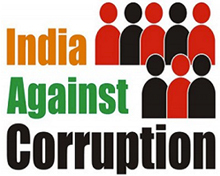 Only a corruption-free society with its people striving through honest means can make India a global force that receives due respect and awe from the comity of nations. In order to fine tune the 1.3 billion-strong human resource into a large mammoth labour force devoted to make India a non-partisan global power whose voice is respected and acted upon by others, we need an engine in the form of a strong individual-driven government at the Centre. Hope that Modi-led BJP government is at the right place at the right time. Yes, India's rightful place has come! Despite the bewildering array of diversity, complex life forms and chaotic systems that make peaceful living an onerous task, Bharat that is India is finally getting up and doing some amazing things making other countries look upon us with envy and sheer incredulity. 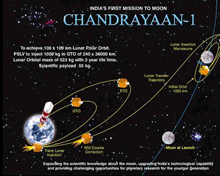 Chandrayaan-1 was India's first mission to the Moon. Even NASA thanked Indian space agency ISRO for helping detect the presence of water in Moon through its lunar orbiter and an impactor probe. India's first interplanetary spacecraft Mangalyaan (Mars Orbiter) was built at a budget much lesser than the cost of a Hollywood movie Gravity. The launch of Geosynchronous Satellite Launch Vehicle (GSLV-D5) with an indigenous cryogenic engine gave ISRO the capability to launch heavy satellites into a much far away orbit than what PSLV rockets are capable of. Chandrayaan-2 will include an orbiter and lander-rover module. This mission will be launched on Geosynchronous Satellite Launch Vehicle (GSLV-Mk-II) around 2016-2017 timeframe. INS Vikramaditya, the 45,570 tonne aircraft carrier that was commissioned on 16 November 2013 at Severodvinsk, Russia, is Indian Navy's top acquisition that will be force multiplier to the Navy in the Indian Ocean Region. LCA Tejas is India's first indigenous light combat aircraft (LCA) getting ready for induction to the IAF after intensive field trials. Agni V is an Intermediate Range Ballistic Missile (IRBM) with a range of 5,000 km undergoing a number of field trials by Indian Army and can hit deep inside Chinese territory. BrahMos is a supersonic cruise missile under the possession of Indian Army which can fire them within short notice on mobile launchers and can be fitted in fighter planes and fighter ships. INS Vikrant, the indigenously developed aircraft carrier, has undocked from Kochi shipyard and the Navy is into extensive field trials after fitting it with weapon systems and high tech consoles. Huge transport planes like C-130J Super Hercules, C-17 Globemaster-III and Boeing P-8I bought from the United States have given strategic airlift capacity to Indian Army which can ferry millions of soldiers with tanks and armoury in double quick time on disputed borders with China and Pakistan. GSAT-7 is India's first military satellite that is exclusively for the Navy and will provide satellite communications to ensure maritime security and intelligence gathering. Mountain Strike Corps with 50,000 troops and two independent infantry and armoured brigade operating along the entire line of actual control (LAC) with China. ALH-Dhruv Squadron, the first advanced light helicopter (Dhruv) squadron for the Navy. Dhruv is an indigenous 5-ton multirole helicopter used for transport, utility, reconnaissance and medical evacuation roles. 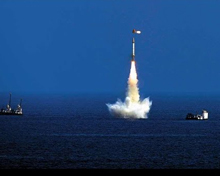 K-15 - Sagarika: Indian has successfully tested a nuclear-capable submarine-launched ballistic missile with 700 kilometres of range for its Arihant nuclear submarine which is also under production in Visakhapatnam. India's total software exports is expected to touch $100 billion for fiscal 2014-15, a growth of 13-15% from $86 billion registered in 2013-14. The size of the software industry (including those catering to domestic services) is pegged at $118 billion in 2013-14. 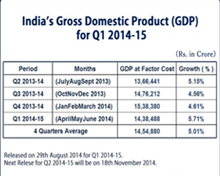 Nasscom said the Indian IT industry would add incremental revenues of $13-14 billion in 2014-15. Incremental revenue is a measure of market share growth that has evolved as the new benchmark for the IT sector. Nasscom has projected that the Indian IT industry would grow to about $300 billion by 2020 with specific focus on verticals like domestic IT market, software products and e-commerce. A total of 1.8 crore confirmed new bank accounts were opened across the country between 23 to 29 August 2014 through the Pradhan Mantri Jan-Dhan Yojana campaign thus creating a new world record for the most bank accounts opened in one week. PM - JDY initial target was for 7.5 crore underprivileged households to open a bank account by January 26, 2015, however this was later increased to 10 crore accounts. Right to Information Act (RTI Act) passed by the UPA government has opened an era of transparency in government functioning from the top to bottom-most level as common man is being empowered. Right to Education Act (RTE) is another revolutionary law that has made access to primary education is mandatory across India and no child should be denied a formal education. Golden quadrilateral and other new highways - Over 40,000 km of highways/expressways added in the past 15 years. We are still not near the quality of US interstates, but in terms of length of highways, we are near there (US interstates is about 76,000 km). Ending polio which afflicted many among India's 1.3 billion-population is considered the biggest achievement in healthcare sector. Over 10 crore LPG consumers have joined the ambitious scheme of getting cash subsidy in bank accounts to buy market priced cooking fuel, making it the world's largest direct benefit transfer and helping end black marketing. 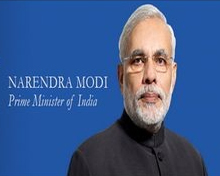 Over 20 crore people have been brought out of illiteracy. 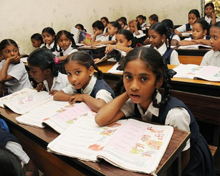 India's literacy rate jumps to 73 % as population growth dips and student enrollment for ages 6-14 goes up to 98%. The mid-day meal scheme introduced by state governments has given nutritious diet to the poor children at elementary classes, just one more reason for them to attend classes. Atal Behari Vajpayee-led NDA government took a bold decision to test nuclear bombs at Pokharan, Rajasthan in 1998 in order to give a credible nuclear deterrence for the armed forces to ensure national security. India has registered a record production of over 1,252 MT of uranium bundles, manufacturing close to double the annual fuel requirement of atomic reactors in the country in 2014-15. Indian government led by PM Narendra Modi is canvassing support for the country's entry into elite Nuclear Supplier's Group (NSG) that allows trading in materials used for nuclear energy. As part of its big power aspirations, India is lobbying hard for a permanent seat at the UN Security Council for which there is strong opposition from China and Pakistan. 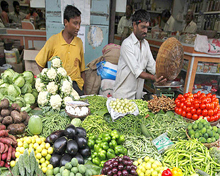 India has achieved self-sufficiency in food production and gone are the decades of famine and food scarcity as the FCI godowns have buffer stocks to take care of any situation in the near future. Total food grains production in the country is estimated at 257.07 million tonnes for 2014-15, a loss of 3% over 265.57 million tonnes achieved in 2013-14. In spite of monsoon deficiency of 12% in 2014-15, due to proactive steps by the government, the loss of production has been restricted to just 3% over the previous year. Dr. Koti Harinarayana designed the indigenous light combat aircraft LCA Tejas and is built by HAL, Bengaluru. ISRO chief K. Radhakrishnan and his team who saw the successful launch of Mangalyaan, the Mars orbiter mission. Chandrayaan-I project director Mylswamy Annadurai of ISRO placed India's space mission in global map. Suneet Singh Tuli, the tech wizard, gave the low-cost tablet Aakash for Indian students that comes loaded with educational software. U.R. Rao as ISRO chairman created India's first satellite Aryabhatta in 1975 that was launched by Russia. Narinder Singh Kapany did pioneering work to develop fibre optics which transmitted high speed data freely and securely over long distances that led to the emergence of digital world era. Dr. Homi Jehangir Bhabha, the father of Indian nuclear research programme, has strived for the development of nuclear energy both as energy source as well as for military use which gave the much needed deterrence to Indian Army. Dr. A. Sivathanu Pillai, CEO of defence lab DRDO, collaborated with Russia in a joint venture to develop BrahMos, the supersonic cruise missile, which gave India a definite edge over China in striking targets with high precision. 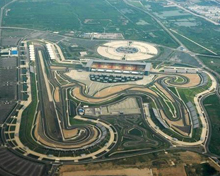 India hosted Formula One (F1) racing with Jaypee Group organising the prestigious contest at Buddh International Circuit in 2011. Pankaj Advani holds the unique and privileged record of 12-time world billiards and snooker champion. He is the only player in the world to win world titles in all formats of both, billiards and snooker. Leander Paes and Mahesh Bhupathi duo won the French Open and Wimbledon finals in 1999 thus proving that tennis is still alive and kicking in India. Vishwanathan Anand after many attempts won the FIDE World Chess Championship in Iran in 2000. He repeated his performance again in 2007 and 2008. Anand did well to retain the FIDE title in 2010 and 2012, before he was outclassed by Magnus Carlson of Norway at contest held in Chennai in 2013. Having earned as one of the greatest players of modern chess, Anand is still going strong in the international circuits with over 30 title wins to his credit so far. Indian cricket saw world cup triumphs in 1983 at Lord's led by Kapil Dev and more recently in 2011 when Captain Cool Mahendra Singh Dhoni hit a six against Lanka to win the country's second win at this most hard fought tournament. Hockey has earned India a total of 11 Olympic medals. This includes eight gold, one silver and two bronze medals. The last one was a gold medal that came in Moscow Games 1980. India has the unique distinction of holding consecutive 8 times Olympic gold medal from 1928 to 1956. In 1960 India won the silver medal, but again in 1964 won the gold. The late Major Dhyan Chand is still a respected figure for his wizardry in the hockey field. India has won the Field Hockey World Cup only once in 1975 held at Kuala Lumpur, Malaysia. Indian Olympic medalists are Abhinav Bindra, Sushil Kumar, Vijender Singh, Rajyavardhan Singh Rathore, Leander Paes, Karnam Malleswari, Mary Kom and Saina Nehwal. The flying Sikh Milkha Singh is a former track and field sprinter who has won athletics gold medal at a Commonwealth Games. He won gold medals in Asian Games 1958 and 1962. He represented India in the 1956 Summer Olympics in Melbourne, the 1960 Summer Olympics in Rome and the 1964 Summer Olympics in Tokyo.